We’ll walk into the vines with the owner of Feudo Montoni vineyard on Day 9 of our Experience Sicily May 19-31 tour with Chef Melissa Muller. Fabio will explain to us his wine-making process, take us through the estate’s cantinas, and pair his different wine varietals with the food that we’ll be making with Chef Melissa. 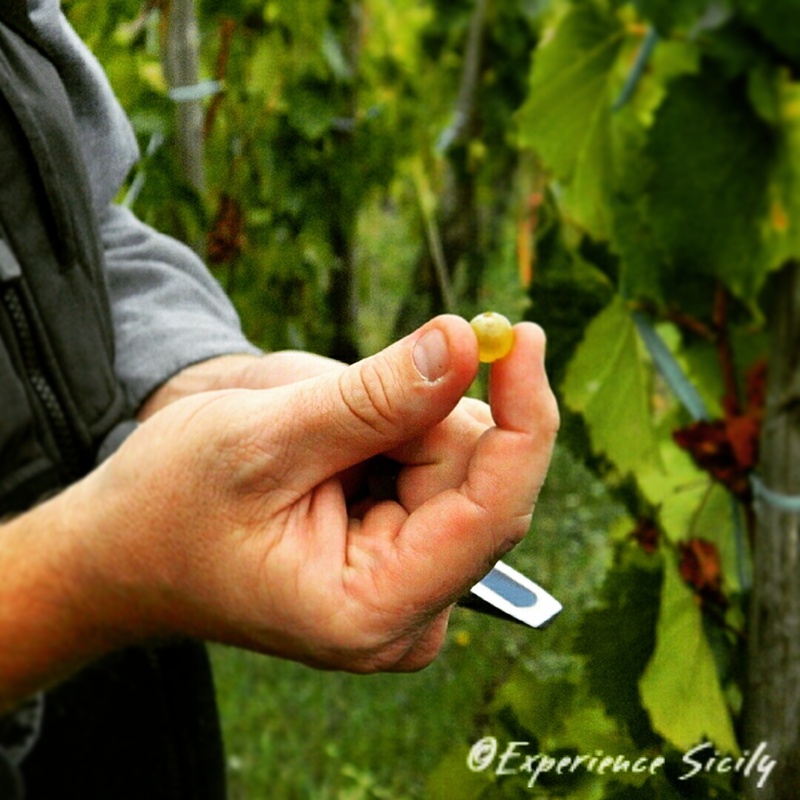 We will see, touch, smell, and taste Sicily (and hear the wind rustling through the grape vines’ leaves)! This is a multi-sensory experience into Sicily’s soul! With Experience Sicily you are actors, not spectators. Join us! See the full itinerary and contact me today at AllisonScola@ExperienceSicily.com to secure your place (and a discount of the price! ).